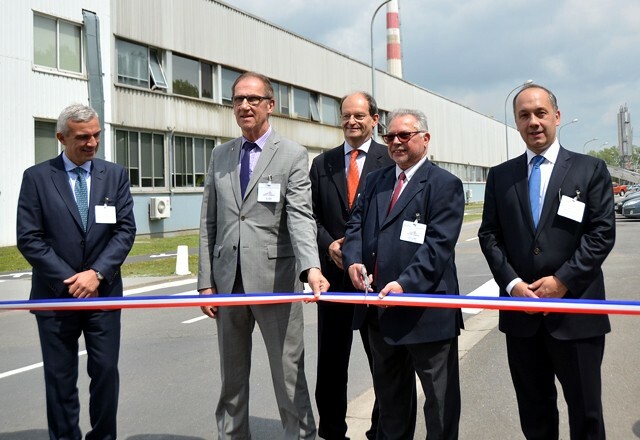 On May 23, 2017, Saint-Gobain inaugurated a new flat glass production line (float) in Aniche-Emerchicourt, northern France. The renewal of this float is a symbol of Saint-Gobain’s lasting industrial and social presence in this region. After taking exceptional measures to protect local employment, Saint-Gobain has now ensured the future survival of the plant and of the transformation workshops, as the new furnace has an estimated lifespan of 20 years. In the forefront of the best glassmaking technology in France, this industrial plant has been entirely refurbished and updated for a total investment of €30 million. With an annual output of 20 million square meters, this float has also expanded its markets and now produces glass for the building and automotive markets. We congratulate the Aniche teams with whom we have installed a modern, low-energy production plant that will serve our markets and protect local jobs. The renovated furnace consumes 25 percent less energy and emits 20 percent less carbon than the previous facility. After repairing the Eurofloat furnace in Salaise-sur-Sanne (France) for the joint Saint-Gobain and RIOU Glass flat glass production company in 2016, this new refurbishment is a further example of Saint-Gobain’s aim to strengthen its lead position in France for the building and automotive glass segments. These two investments send a strong signal of confidence in the exponential growth of the building market in France and Europe. They are also part of Saint-Gobain’s development project to support the significant upturn in the automotive market. Today, the recovery of this business is good news for the site’s employees and more generally for the entire region: raw materials’ suppliers can reactivate their sand, lime and other quarries; and maintenance sub-contractors will also see a resumption in their business. 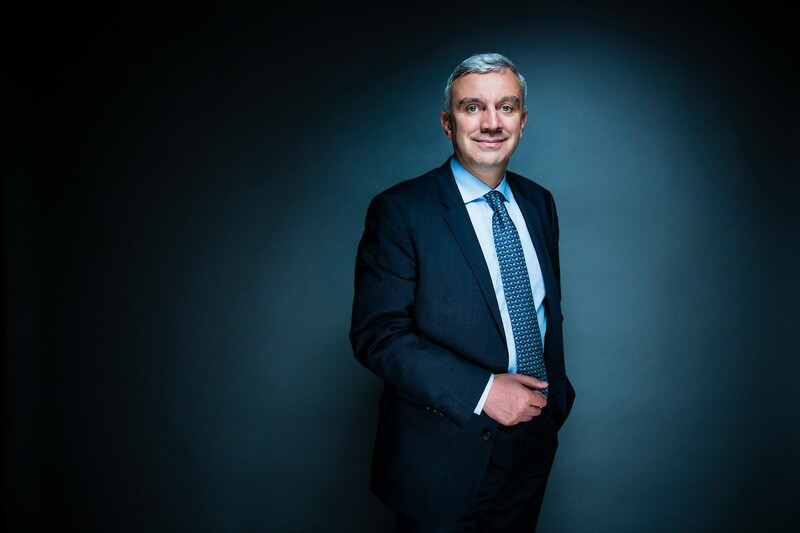 Leveraging its expertise and commitment to limiting its environmental footprint, Saint-Gobain has entirely modernized the Aniche furnace: a new design with improved insulation, more efficient regenerators, greater flexibility for the production of colored glass: nothing has been left to chance. The plant now also has a catalytic converter to strip out nitrous oxide pollution in addition to the existing electrostatic precipitator to treat dust and sulfur dioxide. The renovated furnace consumes 25 percent less energy and emits 20 percent less carbon. Previously only serving the building market, the furnace now serves the building (70 percent) and automotive (30 percent) markets. This configuration is a real plus, as it means the site can now supply the automotive industry which is a huge consumer of high value added glass and is a more stable market than the building industry. interior finishing and decoration including glass office partitions. The automotive glass is transformed into windshields, rearlites and sidelites. The float manufactures clear and green glass, laminated glass and cut products, mainly sold on the French and Benelux markets. The most complex products can also be exported worldwide. The float produces flint glass ranging from 3 to 12 mm thick in very large dimensions (around 6x3 m). This glass can then be sent directly to the laminated glass assembly line on site. Mounted as single- or double-glazing, it is used for the protection of people and property (sgg STADIP PROTECT), and for noise insulation (sgg STADIP SILENCE). It can also be sent to a other Saint-Gobain sites where it undergoes specific, very high-tech treatment on one surface to acquire additional technical properties. sgg PLANICLEAR, a reference type of glass for the building industry manufactured at the site, is the base product used for multi-comfort glazing (sgg PLANITHERM for thermal insulation, sgg PLANISTAR SUN for solar control, etc.). The glass produced at Aniche-Emerchicourt serves a rapidly growing market: high value added glazing. Sustainable habitat and consumers’ new comfort demands: these and other factors are contributing to growing the market. The demand for high-tech glass products will continue to grow. And that growth is liable to be exponential given the upsurge noted on the new construction market and the demand for increasingly efficient dwellings that improve their occupants’ comfort and wellbeing.